The word “uprising” is often used in moments in which a group of people witness their strength in numbers and band together to seize an opportunity. This embodies the time we are currently living in, where people all over the world in art and politics are recognizing their own power in numbers. It is prophetic as it deals with the different tenants of survival within a world of mystery and ambivalence. From brotherly love to the dangers of good intentions, these are all universal occurrences to which we all seek advice. If the album’s theme is not enough to draw you in, the music is a powerful hook. Mosley composed the music and also contributes lead vocals and his virtuosity on the upright bass. He’s backed by a soul stew otherwise known as the West Coast Get Down: Kamasi Washington and the late Zane Musa on saxophone, Dontae Winslow on trumpet, Ryan Porter on trombone, Brandon Coleman on keyboards, Cameron Greaves on piano, and drummer Tony Austin. Completing the aural tapestry, a full orchestra and choir are added to several of the tracks. On Uprising, the WCGD collective fulfills another mission: “to defy genre and combine musical influences to make jazz dangerous and exciting again, while paying tribute to the legends before them.” Some of these legends include Otis Redding and Jimi Hendrix, whose Southern soul and psychedelic rock are synthesized with jazz on nearly every track, along with message songs reminiscent of Curtis Mayfield. The album kicks off with “Young Lion,” a fabulously funky song espousing the attributes of a young, woke man with Mosley singing, “set me free, let me run . . .I’m so on fire, look what I’ve become, I’m high, high, higher.” The track also demonstrates Mosley’s incredible bass technique, as the track closes in a fury of distorted riffs that might fool you into thinking he switched up his bass with electric guitar. This is followed by “Abraham,” a song framed with biblical references that begins peacefully with a keyboard backed intro. As Mosley concludes the first verse, “I’m scared, mediocrity is everywhere, but not here!,” the band explodes into action—proving that mediocrity will never fly with this renown ensemble. In a recent LA Weekly interview, Mosley says he wanted to include “heart-wrenching songs of loss and disappointment,” but also “a soundtrack for this crazy time that people can lean on.” Many of the tracks embody these feelings of disillusionment; however, they never fail to inspire. The reverb soaked anthem “L.A. Won’t Bring You Down” seeks to embolden young artists to hold their own in the City of Angels, cheering them on with a shouting soul chorus, punchy horn section, and liberal applications of the wah wah pedal on the bass. This flows naturally into the emotional ballad “More Than This,” which starts off in a slow groove, then explodes in a powerful flurry of fuzzed up bass as Mosley shouts, “I was promised, maybe the whole world was promised, so much more than this!” Other stand out tracks include “Your Only Cover” and “Reap a Soul”—the latter a bit reminiscent of The Wiz in its “get on down the road” theme. In fact, both songs have lush orchestrations and a ‘70s era Broadway quality. The album concludes with “Fire,” a celebratory tune with Latin rhythms and full string section that will definitely get everyone on their feet, clamoring for an encore. All of these tracks were recorded in 2012, at the same month-long session that gave birth to Kamasi Washington’s debut album, The Epic, and Cameron Grave’s Planetary Prince (though his tracks were eventually re-recorded). Now it is Mosley’s turn in the spotlight, and that light shines like a solar flare. With Uprising, Miles Mosley takes a huge dose of soul and funk, fuses it with astonishing bass technique enhanced with crazy special effects, and tops it off with empowering lyrics and vocals. This album will no doubt be one of the highlights of 2017! 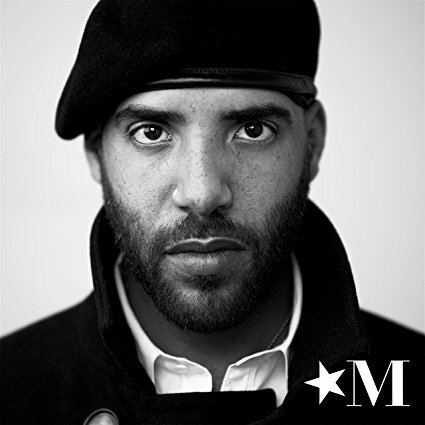 This entry was posted in Jazz, Rhythm & Blues, Soul, Funk and tagged 2017 jazz, 2017 music, 2017 releases, black music, Brenda Nelson-Strauss, Jazz, Miles Mosley, Miles Mosley - Uprising review, Uprising by aaamc. Bookmark the permalink.